Finest quality crystal award presented in satin box. Clear Glass 'Thumbs Up' On Base. 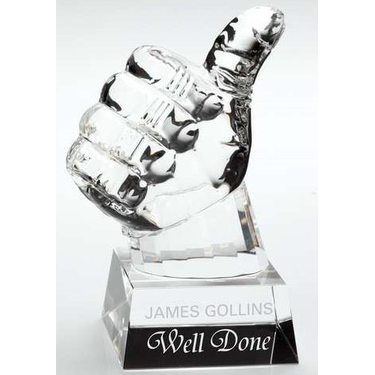 Choose to personalise this award with an engraving plate.